Those of you that are long time readers of this website, will know that I am a massive fan of core strength work, to compliment my running. In fact a few years ago, I shared my thoughts on this, along with the core strength routine that I was following at the time. Now some may question, with all the injury troubles I have had in the last twelve months, what is the point? Yes, I have suffered a chronic injury, and still am, despite spending hours every week doing core strength work. However, without this I suspect I would have been injured years ago and its that core strength that also allowed me to continue running for as long as I did and has accelerated my return from injury. So I continue with my core strength routine, which I have refined regularly over the years and also supplemented with regular yoga sessions as well. I continue to be a big fan and would encourage all runners of whatever distance, to find the time to incorporate core training into their week. When Mikula reached out to me and offered to write an article about full body running, I was only to pleased to publish it here on Ultrarun.in. You can never get too much advice in this area, in my opinion and I am always discovering new exercises, routines or general hints and tips, which I try to fit into my own training, recovery and rehab. In this article, Mikula focuses on the benefits that increased upper body strength can bring to runners. Many thanks for taking the time to share your thoughts Mikula and I hope my readers will enjoy reading your article as much as I have. Yes a runner lands on its feet over and over again. And yes mostly the legs and hips translate falling into a forward motion. So it doesn’t come as a surprise that most endurance runners mainly focus on lower body muscles in training. I was exactly the same. But now I consider running as a full body sport. The reason is simple: Your whole body is working when you run. 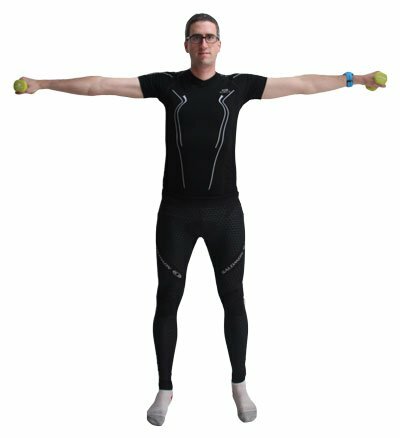 The elegant bipedal movement of humans includes not only your legs but also your core for stabilization and an arm swing that is synchronized with your stride to maintain a stable posture while moving along. 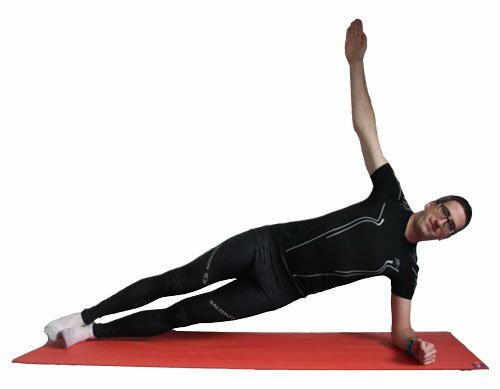 In this article, I’d like to give the upper body of endurance runners the attention it deserves and show you some exercises you can do to increase strength above your hip. Nowadays using ones body is not a big part in most people’s lifestyle. During the day we’re mostly sitting whether it be in the office, in the car or in front of the television. And there’s not much need to stabilize your body and maintain an upright position. Obviously this is totally different when doing a long distance run. When you run for hours it is important to maintain a proper upright running posture and tense core muscles to have stability and an efficient running form. I first took notice of the importance of a strong upper body while training for my first marathon some years ago. Towards the end of my first couple of long runs my legs were holding up quite well but I felt a change in my running form and stride. 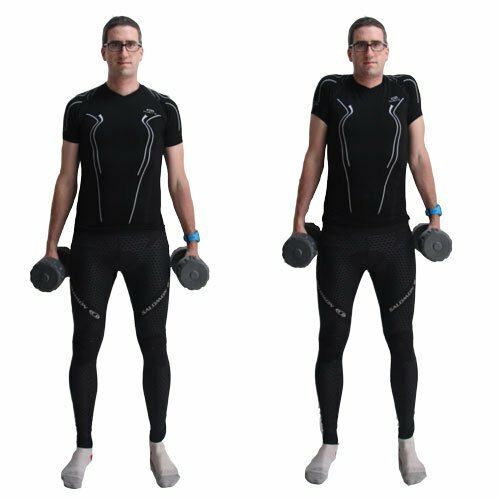 I had a slumped upper body and I couldn’t hold up a straight posture which put more strain on my back and joints increasing the chance of getting injured. And I really felt that after my runs and got nervous that I might get injured if I can’t fix this. So I did some research and added a few core strengthening exercises 2-3 times a week which did the trick. I consider being able to maintain a proper running form throughout every training and race as one of the most important aspects when it comes to avoiding common running injuries. So the higher my training volume and the longer my races, the more I also keep a look on core strength. So far this strategy worked out quite well for me. Another thing that didn’t cross my mind in my early days of running was the swing of my arms. Have you ever tried running while keeping your arms straight down without moving them at all? This feels just wrong and very inefficient. When I started preparing for long distance trail races I more and more focused not only on my stride but also the position and movement of my arms. I discovered that when I deliberately increased the range of my arm swing and kept about a 60° angle between forearm and upper arm, running felt much easier and I even increased my pace with this method. Especially when running uphill and even more on steep and technical trails I recognized a solid benefit when focusing on a strong arm swing. Since these days I consider running as a full body sport. If you haven’t already, go on YouTube and check out pro endurance runners and analyze their running form. You’ll see a perfectly synchronized stride and arm swing and a slight forward leaning. Another thing you could do is to film yourself while running. Ask a friend to capture your stride when running on a track. Analyze your running form and what you might be able to improve. Something I fully underestimated when transforming from running marathons to ultra trail races is the impact of wearing a backpack. After my first long runs in the local hills where I carried water bottles, food and spare clothes and other equipment, I got a tight neck which got more and more painful. And since I didn’t want to spend a lot of money for massages I again checked out what I can do about this issue. The first thing is to just wear a fully packed race vest during training runs. This alone is a good preparation to wearing a running backpack in ultra races. Apart from that I also added some shoulder, back and neck exercises to my strength training program. The neck is quite a delicate area and tightens up pretty fast. This is not only due to running but also the work posture when sitting in front of a computer in the office. This is still a bit of a problem zone for me personally but a massage every now and then and going to the spa helps as well. After getting into the benefits of an upper body focus, I’d like to also share with you some upper body strength exercises that proved to be very beneficial for me. I don’t like to go to a gym since it is also very expensive. In my opinion this isn’t needed at all for long distance runners. I usually do my strength training on a yoga mat in front of the TV. With body weight exercises and some equipment like a flexband or some free weights, you’re good to go. The best exercise that comes into mind for core strength is the plank and all its variations. Just holding the plank position (lie facedown with legs extended, bend elbows right beyond your shoulders) for half a minute is a good exercise. Go to the straight-arm plank position. Alternately bring your knees forward to touch your elbow. I normally do 15-20 reps for each sides and 2-3 set. There are many other plank variations you could do. I thinks it’s beneficial to change the exercises every other week to train as many muscle fibres as possible. Apart from planks I usually also do crunches for my abs and back extensions to train my lower back muscles. That alone is a good exercise: Just go running with some weights around your wrists or water bottles in your hand. In addition to that I do some standard exercises with weights. Usually just some curls for my biceps and push-ups to train triceps as well as chest and shoulders. As far as shoulders and neck I do these two exercises that you could do with any kind of weights you find at home (I usually choose water bottles). Take some weights into both hands (for example a bottle crate) and stand upright and just hold these weights with your arms down. Now raise your shoulders and lower them again slowly. Try to do 2-3 sets with 15-20 repetitions. Also when preparing for an ultra race I do all my long runs with a fully packed running vest to get my neck prepared for the race. To wrap this article up let me just say that it was surprisingly beneficial for me to focus not only on my legs but seeing long distance running as a full body sport. The longer the distances I run, the more it seems to have a positive effect to strengthen my upper body. I hope I was able to convince you to also give your upper body some attention and I’m sure it will help you as well to keep running injury-free for thousands of miles. 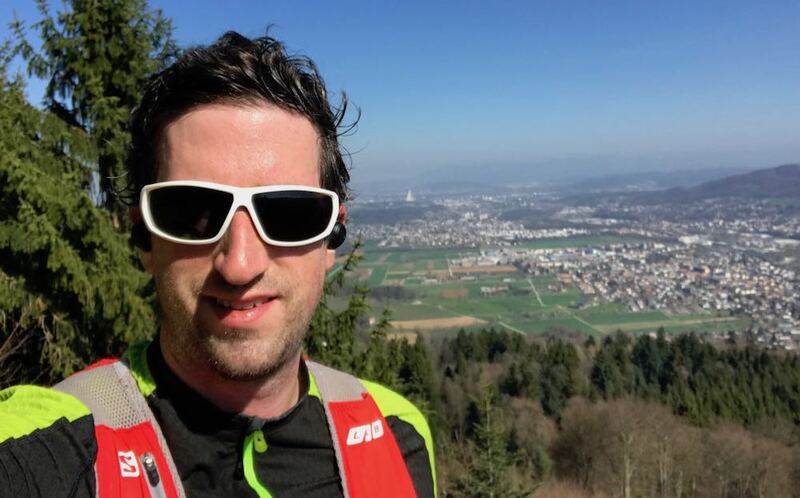 If you like more information about my approach to endurance running, I’d love to welcome you on my website. And make sure you keep reading Ultrarun.in to get great information. I’m sure I will!